WeRobotics’ Flying Labs network gains a new member, Cameroon Flying Labs – the first Central African country to join our ever-growing web of knowledge hubs across the Global South. Cameroon Flying Labs, headed by Jaques Eone along along with coordinator William Elong, robotics maker Loic Dessap and drone experts Paul Tchabo, Fogue Coralie and Louis Ekani, stems from an initiative of Drone Africa, a leading startup building and providing drone solutions in Cameroon. With a strong belief that robotics such as drones and AI can drive positive change and improve development in their country and beyond, the Labs will build its work around four main sectors. In Agriculture, they will support farmers with tools and expertise for drone mapping activities; in Public Health, they are looking into potential medicine delivery opportunities to support pregnant women and other people in need with no access to immediate assistance; in Security, they already proposed drones as a solution to coastal piracy at the latest Africa Security Symposium. Lastly, in Environment, they have a proven track record of successful projects with local NGOs with the purpose of analyzing infrastructures in Douala’s sub-urban areas. 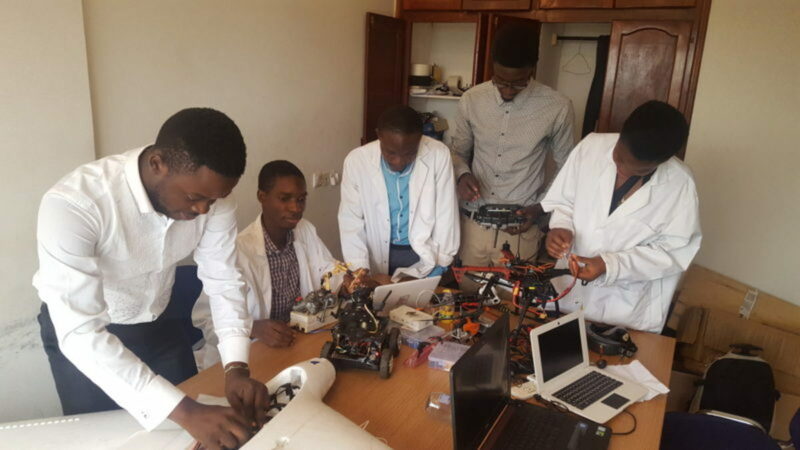 The Labs will also be engaged in introducing robotics to children, university students and entrepreneurs through training and workshops, as already tested at Open Africa and Startup Weekend AI in Douala. Early this month, in collaboration with Will & Brothers and Société Générale’s Innovation Lab, the team helped organize the Be-Bound Challenge, the first-of-its-kind blockchain initiative in Cameroon focused on IoT and AI technology. This event will serve as a launching board for an upcoming innovation hub that aims at connecting the entire local ecosystem around emerging technologies under the guidance of the Flying Labs’ expertise. 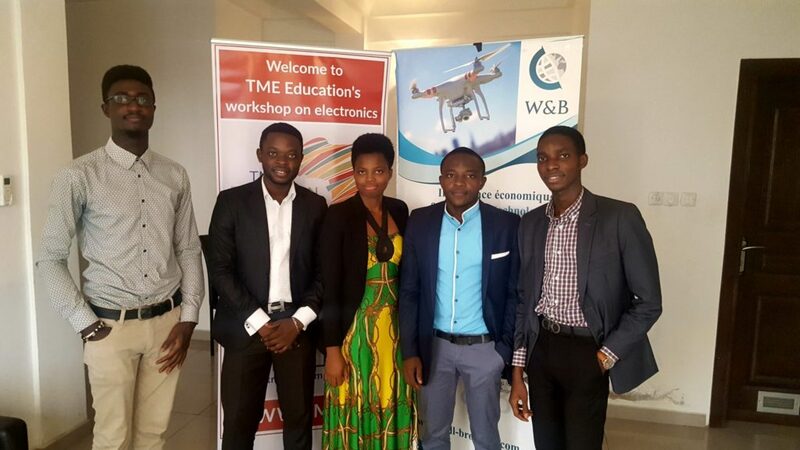 Cameroon Flying Labs is supported by the Ministry of Post and Telecommunications of Cameroon, Be-Bound, Nvidia Inception program and will be joined by other organizations such as CAYSTI, a startup providing STEM education to local kids, and AgriBizz, a company working on innovative solutions for farming. We are pleased to welcome Cameroon Flying Labs to our African network of knowledge hubs. Please stay tuned for more updates on their successful projects.